After the ups and downs of the partnership with Rollei, Zeiss found stability in the Contax project, launched in 1974 with the Japanese Yashica company. After years of struggling and of coming out beaten and bruised, eventually Zeiss managers realized that it was better to team up with Japanese manufacturers than to compete against them. The name Contax was taken from a 1932 rangefinder – not quite appropriate for a modern reflex. 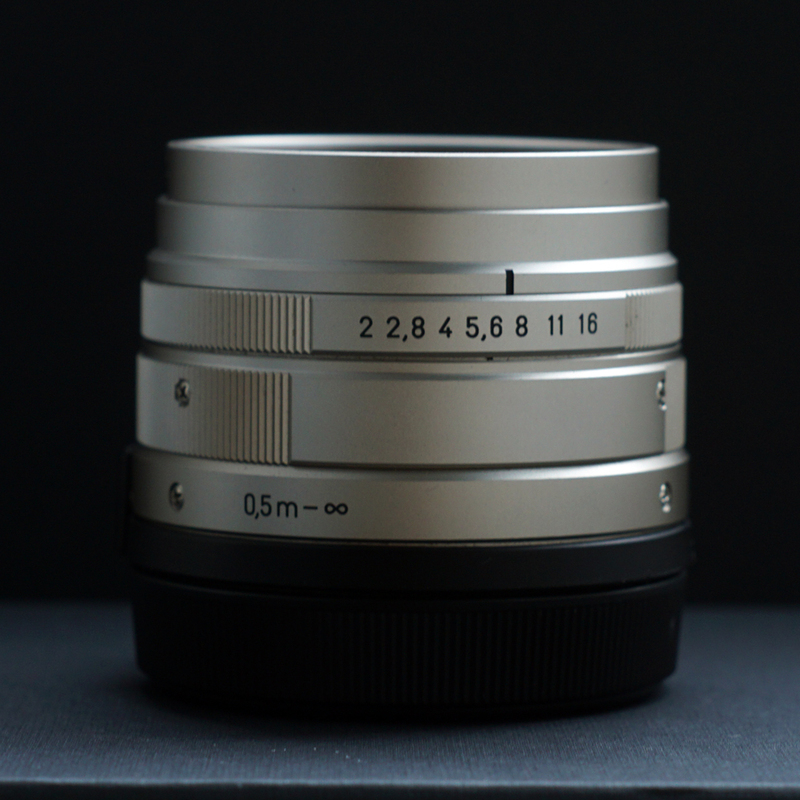 Zeiss lenses for Contax/Yashica mount were manufacrured in Japan by Yashica’s partner Tomioka. Being prestigious devices collocated in the high end of the market, Contax cameras were immediately equipped with the same Planar 1.4/50 provided to Rollei (but the proprietary T* coatings were employed). As the system expanded, new and more affordable camera bodies were offered, which in turn called for more affordable alternatives to the premium 1.4/50. 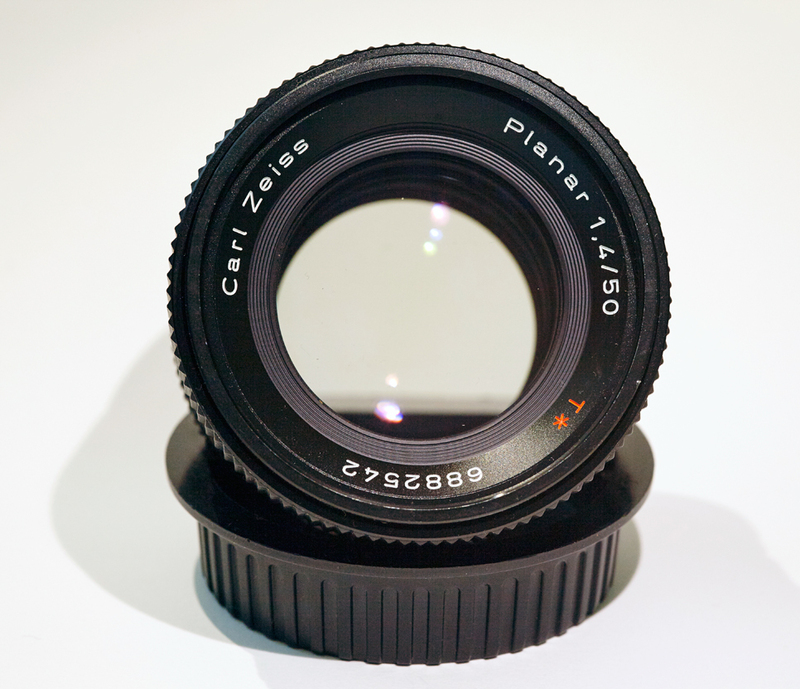 In 1982 Walter Wöltche designed a slower f/1.7 version based on an identical optical formula and similar performance level. This was another case of a non-premium device enjoying a design and construction beyond the average of its price class. The slower version is slightly more consistent in corner-to-corner performance, while the faster lens reaches a slightly higher max resolution in the middle of the frame at optimal apertures. 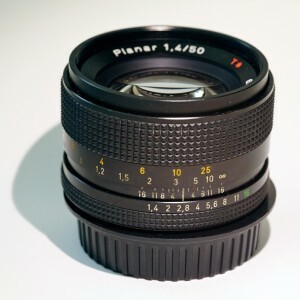 The lower-end ambition of the f/1.7 version was not so visible in terms of optical performance as much as in terms of mechanical quality: the new, more affordable lens now extensively showed plastic parts, which contained the final retail price. As a side note, the in-house competitor and “step-brother” by Yashica, the Yashinon ML 1.7/50, was even more affordable while offering only slightly inferior optical performance and a full-metal construction. Together with the Makro S-Planar 2.8/60, Contax/Yashica users could access a diversified range of good quality standard primes. The “piece de resistance” arrived as a surprise in 1996, in occasion of Planar’s 100th birthday. At the time Zeiss’ financial situation wasn’t great: Yashica had become a part of Kyocera, a much bigger corporation. 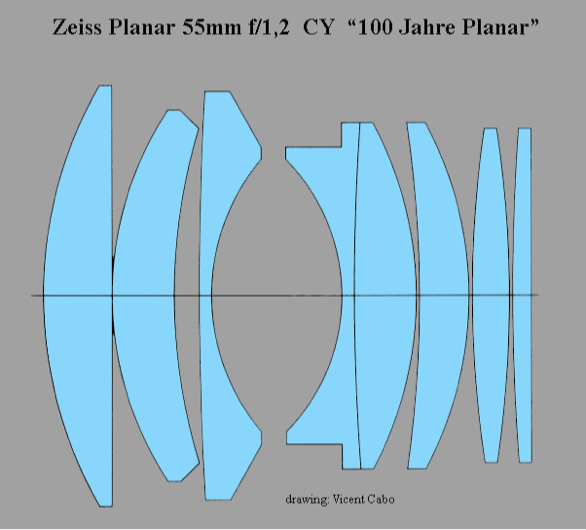 For a specialized company like Zeiss, dealing with such a colossus and its shifting global priorities inevitably created discomfort. In those difficult times a limited-edition series celebrating an important anniversary was a good occasion to brush up the company’s name and cash in while waiting for luck to turn. 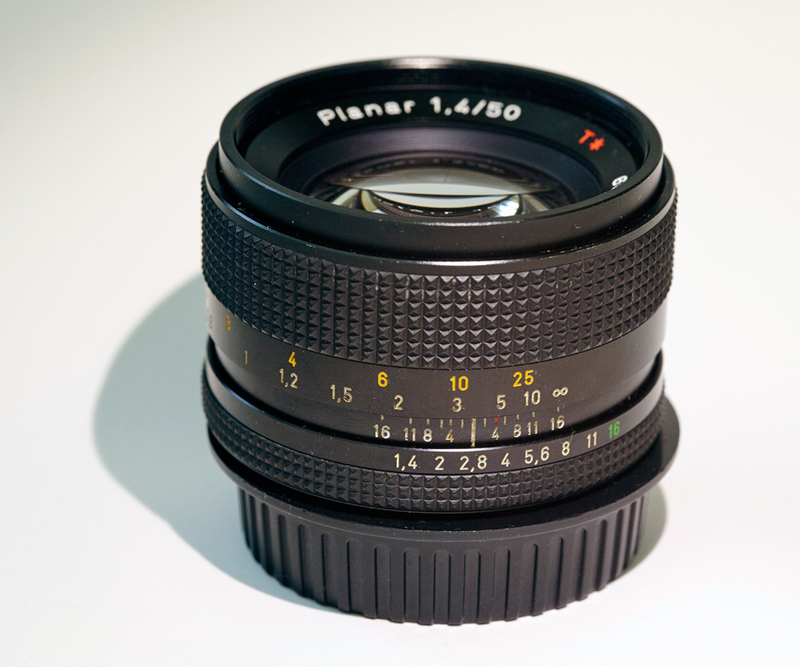 Walter Wöltche was put in charge of the calculations for a Planar 55mm f/1.2 meant to take place on the top of the lineup and to renew the market interest in the Contax brand. Wöltche was already busy working with Schuster on projector lenses for microcircuit boards and, it is said, accepted the job with some reservations since he didn’t appreciate the 55mm focal length. Wöltche started from the Planar 1.4/50 scheme and added an eighth element at the very back: this element remained fixed during focusing, while the other elements floated back and forth. 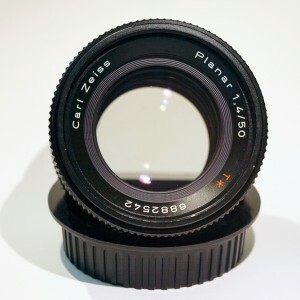 Canon had adopted a similar solution in their superfast standard lenses already from the old FD 55mm f/1.2 AL and all the way to the more modern FDn 50mm f/1.2 L. Field tests have confirmed that the floating element of the Planar 55/1.2 visibly reduces field curvature at close focusing distances when compared to the 1.4/50 or 1.7/50. 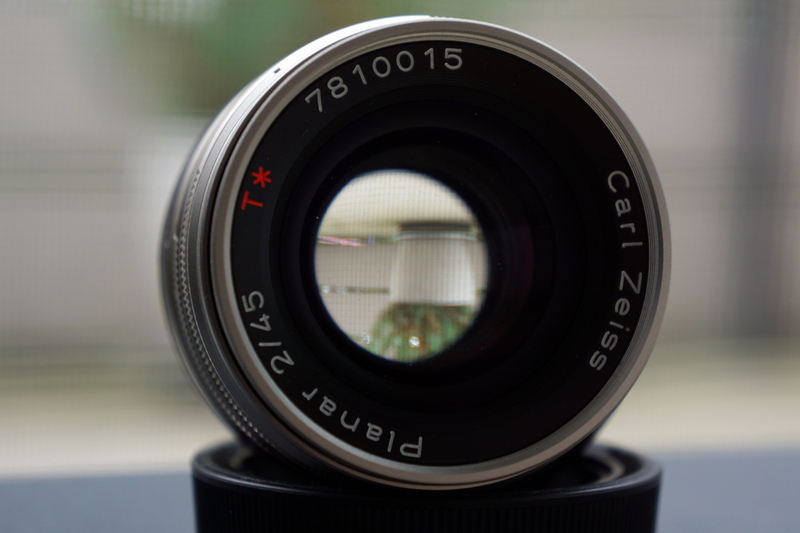 Only 1000 units of this lens were manufactured, immediately configuring it as a collector’s item. 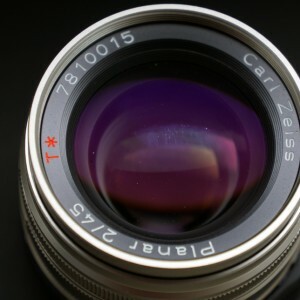 The lens was sold at astronomical price – several fold higher than the already expensive 1.4/50. 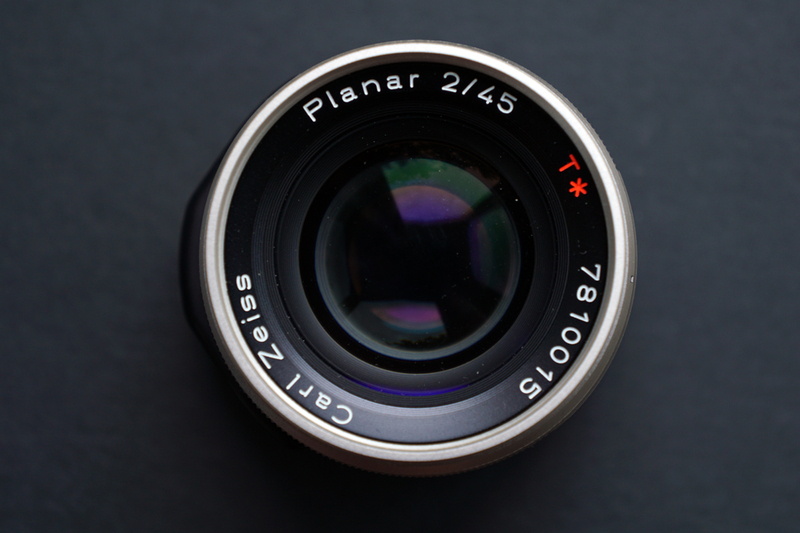 the Planar C/Y 1.2/55 “100 Jahre Planar” edition designed by Wöltche. Besides the Contax reflex system, from the early 90’s Zeiss and Kyocera were collaborating also on the Contax G front – modern, high-end rangefinders with autofocus. 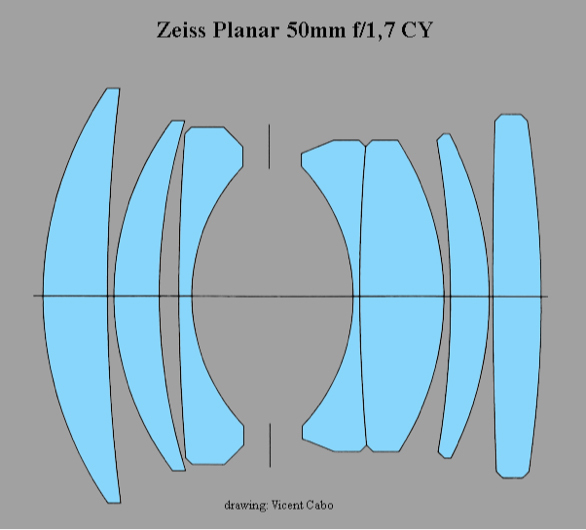 Zeiss provided several lenses for this system, most of which were well regarded. 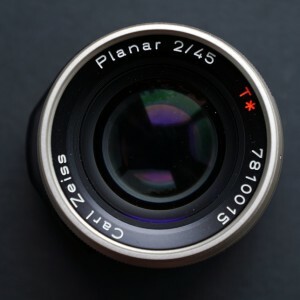 Among them there was a Planar 45mm f/2 designed in 1993 employing modern computer-aided calculations and the most recent glass and coating technology. The short retrofocal space allows for a quasi-perfect symmetrical design without demanding much compromise. 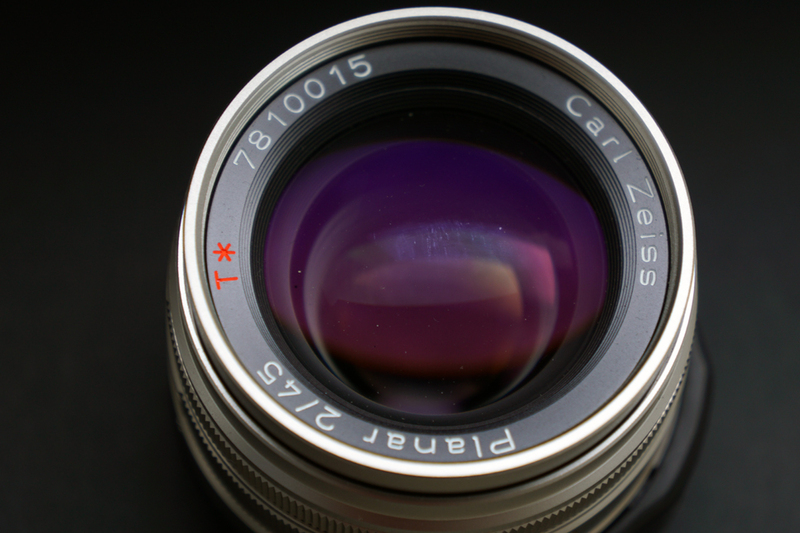 The performance of this lens is legendary and still top-notch today, more than 20 years later. Even highly demanding Leica users, accustomed to the best of the best, often have admitted that they wish this was a Leica lens. 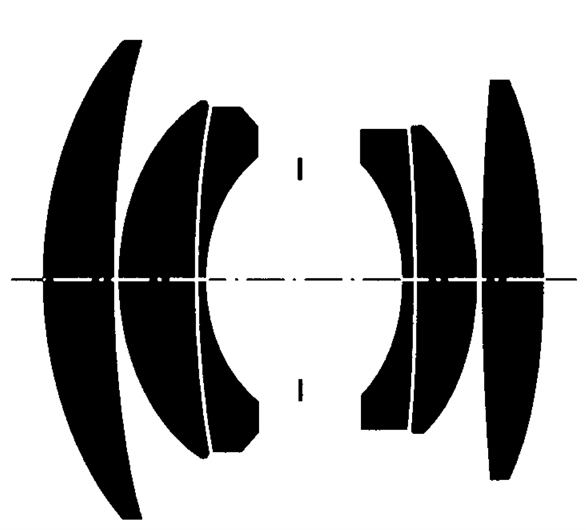 optical scheme of the Planar 2/45. Courtesy of Carl Zeiss AG, from the original lens brochure. 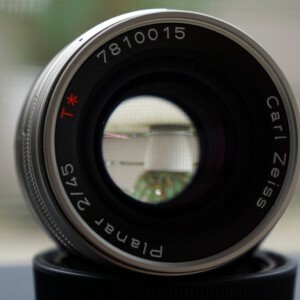 After the traumatic decision by Kyocera of abandoning the photographic market, Zeiss detoured most of their manufacturing capacity toward video and cinema lenses for other brands. This started the – for the time – paradox of a third-party product being the premium choice rather than the value one. This article was originally written in Italian in 2008 by Marco Cavina and can be found here. With great pleasure we present this freely translated English version, revised and extended as of early 2015 by Alberto Oddo. Some of the images below are supplied by Hans-Jürgen Kuc and were originally printed in his excellent Carl Zeiss Contaflex, Contarex and Contarex books. Additional pictures provided by Stephane Vermeulen and Niklas Janke.